Here is one of my favourite finds over the few days I was in London. This is by the Belgium street artist ROA who specialises in black and white much similar to Phlegm, however ROA specialses in animals which is a soft spot of mine. This mural is located in Shoreditch, which I missed out seeing the last time I was in London. Even though the tags on the bottom half of this piece are defacing the work, it gives the piece a cool vibe in my opinion. The detail in his work is phenomenal. I look forward to seeing more of his creations, this is the forth piece which I’ve seen by him in the flesh. He really needs to come to Sheffield! 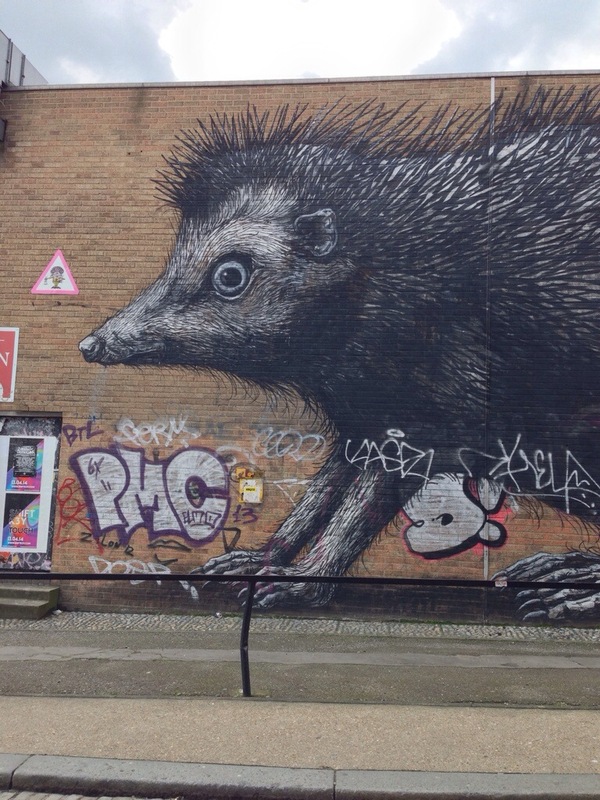 I love Roa’s stuff – only saw this one by accident last time I was passing by. 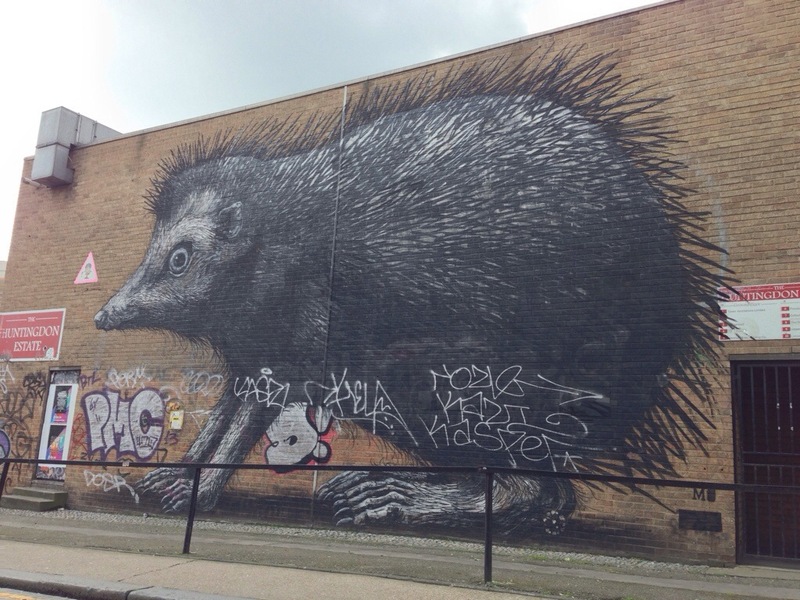 Seen some brilliant pictures of Roa stuff in abandoned buildings too, which is always a winner for me! Yup – animals good too! Always better to find em by accident, more of a thrill! The abandoned building pieces of his are just something else, I really like the fish one where it’s jumping out of the toilet. Be cool to have some in Sheffield. Oh yeah the toilet one’s great! You got the ‘out of sight’ book? Some good stuff in there. I’ve not no, been meaning to get it. Have you got it? Yeah it’s really good, and the two beauty in decay ones. I keep going back to them, some great photos. There’s a couple of the waterworks in the graffiti one, puts my photos to shame! I always check them out on amazon but never brought myself to buying em, I’ll have too as I love going through photos in a book, much better than looking at em online at times! Is it the fauna piece what’s in? Fauna and a shot of the corridor too. Some from Record Ridgeway too.